All their practice paid off! 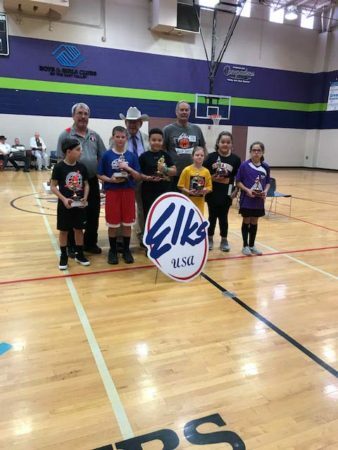 All five of our local Elks Hoop Shoot winners brought home trophies from the Jan.12 Arizona Elks East District Free Throw Competition at the Chandler Boys and Girls Clubs. Winning the third place trophy in the 8-9 boys was Ryan Garner (Hayden). 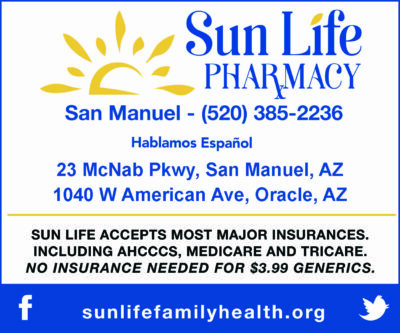 In the 8-9 girls, Savanah Magallanez (Superior) took home the second place trophy. In the 10-11 boys, the third place trophy went to Tyler Gardner (Hayden) and in the 10-12 girls, Ariana Arbizo (Hayden) won the second place trophy. In the 12-13 girls Felicity Baltarez won first place and will be competing at the State Hoop Shoot in Apache Junction on Feb. 19. The Kearny Elks are very proud of these young athletics and will be cheering on Felicity in February. 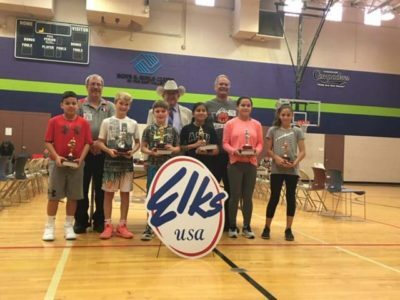 For over 45 years, the Hoop Shoot allows every boy and girl between 8 and 13 in an Elks Lodge community the opportunity to participate in a fun, age-appropriate program that sets them up for future success. Participation in the Hoop Shoot encourages kids to set goals and work hard. 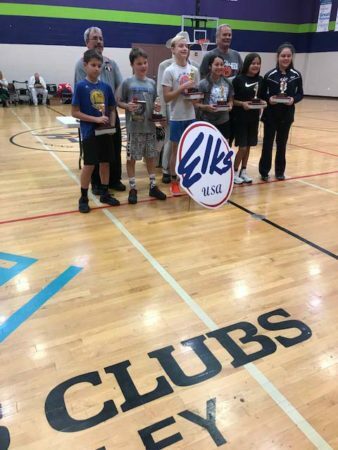 For more information on the Elks Hoop Shoot go to www.elks.org/hoopshoot.